Gather in one of our iconic spaces for an unforgettable celebration. 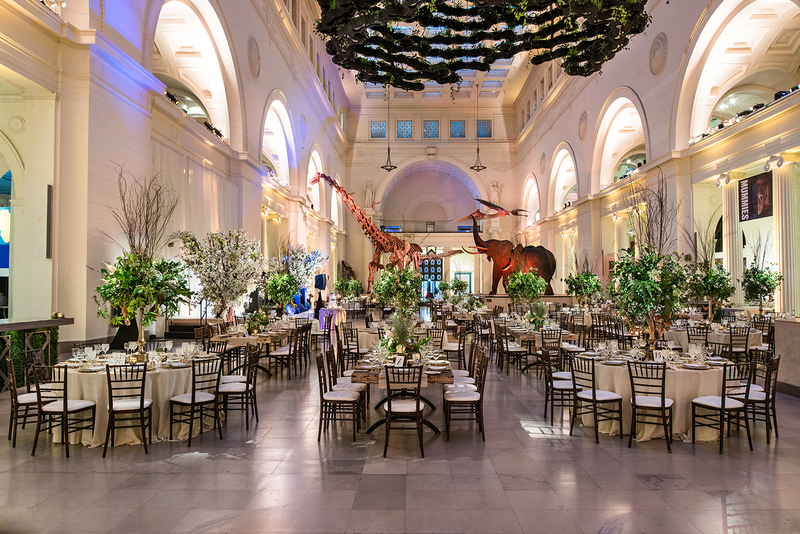 The Field Museum is ideal for corporate gatherings, from classic holiday parties that light up company Instagrams to outside-the-box product launches that breed industry buzz. Our variety of spaces can accommodate as few as 20 and up to more than 1,000 guests. Toast a successful quarter outdoors with cocktails in the Rice Native Plant Gardens, or treat employees and their families to an exploration-filled summer outing they’ll never forget. 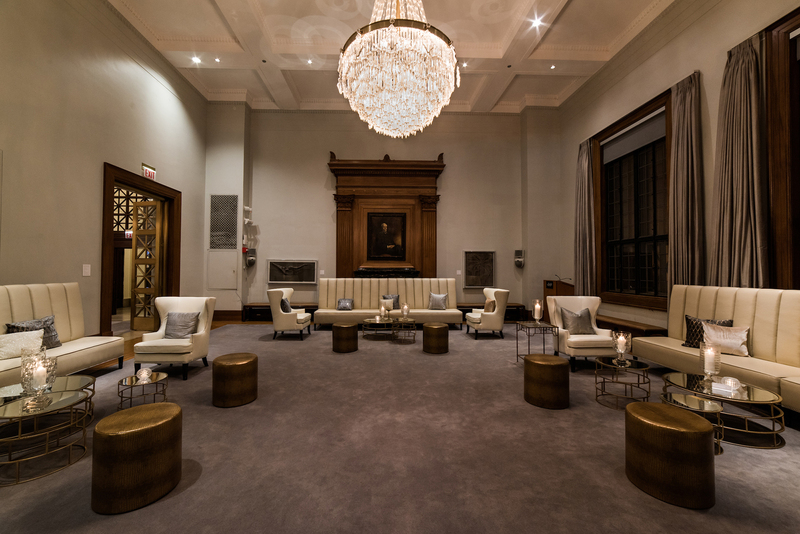 Customize your event from floor to ceiling—lighting, decor, and seating options are just the beginning. Wow your guests with flexible, open spaces and custom decor to suit your event. Guests will leave your event grinning like Máximo after spending an evening in his midst. Our experienced event staff will support you throughout the planning process to make your event a success. We’ve also carefully vetted a list of approved vendors who know the Field Museum inside and out. We’ll help you select one that will work within your style and budget to create a corporate event that has your brand all over it. 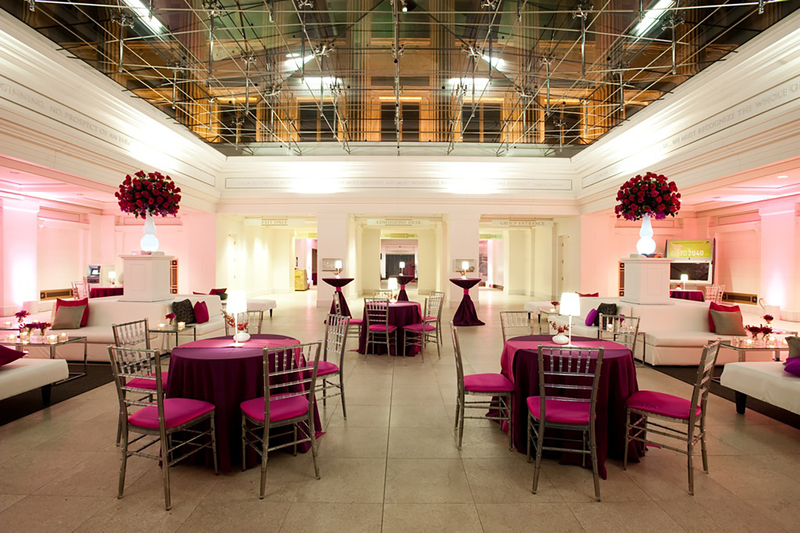 The Field Museum provides all alcoholic beverages used in conjunction with any event held at the Museum. We offer a variety of beverage packages and a wine list, both with eco-friendly options. Your approved caterer will provide bar service, including setup, mixers, sodas, ice, glassware, and service staff. Consumption bars and donated liquor are not allowed. Looking for an simple solution for a successful event? Our packages offer straightforward pricing options for smaller groups. Wine and dine—rain or shine—with incredible skyline views, starting at $70 per person. 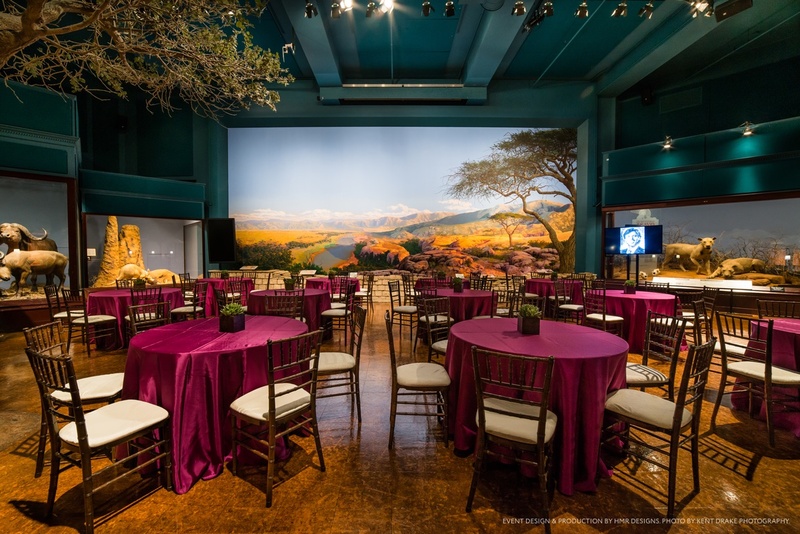 This package includes a two-hour picnic buffet and three-hour use of our terrace, plus a dedicated event coordinator and access to Field Museum exhibitions, including SUE the T. rex and Màximo the Titanosaur. Enhance your event with add-on experiences for your guests. Ask your event coordinator for availability, costs, and additional details. A fruit stand from Ancient Kish, Iraq. A Shipibo knife from Peru. An ancient beer vessel from Egypt. See and learn about these rare objects (subject to change) and others from the people who know them best: our scientific team. These artifacts are not on display to the public! What are the secret stories behind our exhibitions? How do your guests find the rarest, most special object in a collection? What should you not miss while you are here? Our docents know and will share their vast knowledge at your event. Do male millipedes really woo potential mates with backrubs and songs? Find out from museum collections staff as they engage guests in a thrilling encounter with live bugs at your special event. Birds are living dinosaurs. Get up close and personal with a hawk or falcon. See rare bird skins from our collections. Talk to the scientists who study and manage these majestic creatures.